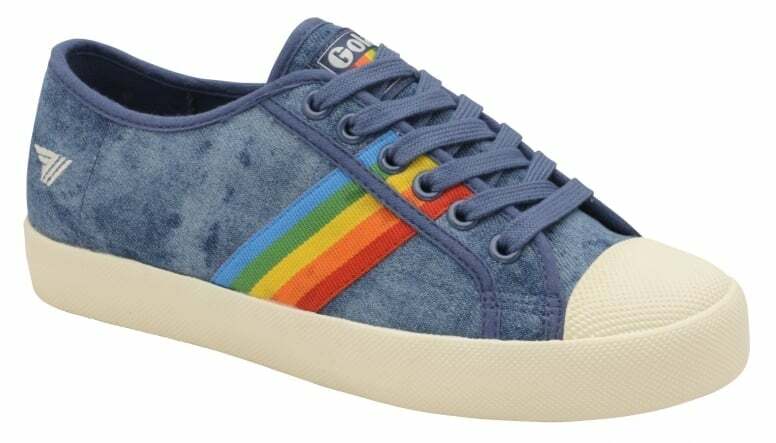 Gola ladies’ Coaster Rainbow is one of Gola’s most coveted styles in fashion circles across the globe. 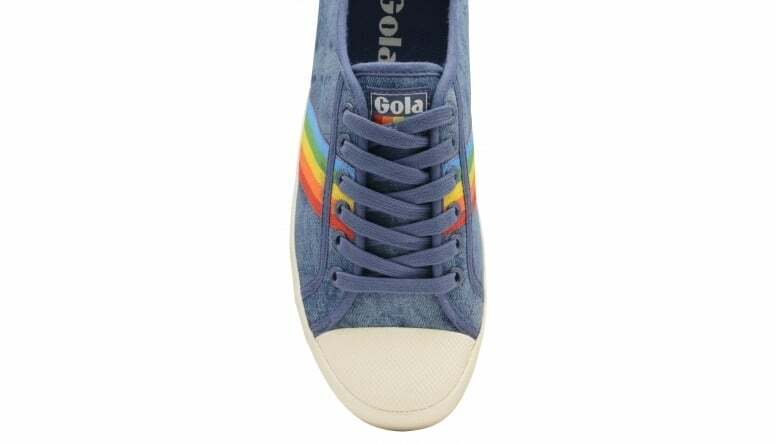 A boost of colour created with the rainbow trim, gives this Gola heritage classic even more of a retro vibe. 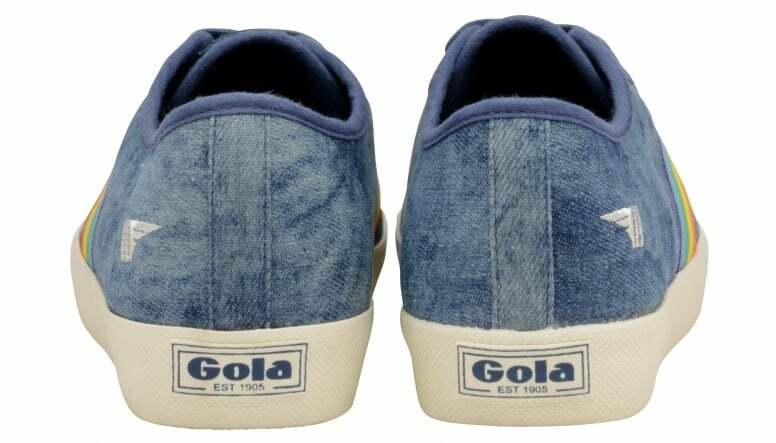 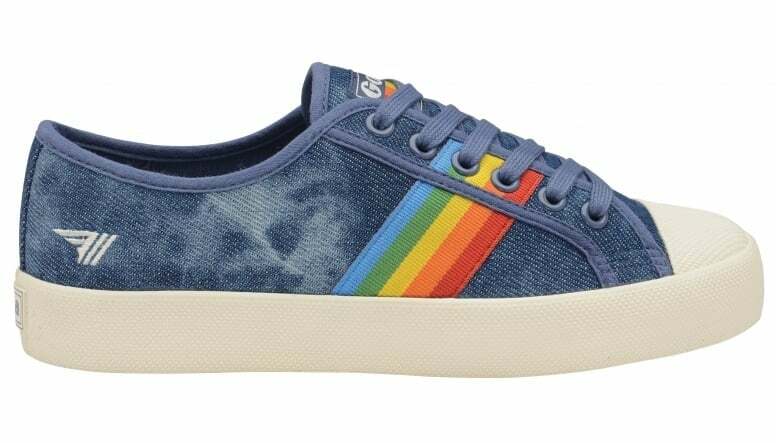 Features include a classic vintage tie-dye denim canvas upper with a rainbow detail to the sides and Gola branding to the tongue and side of the heel. 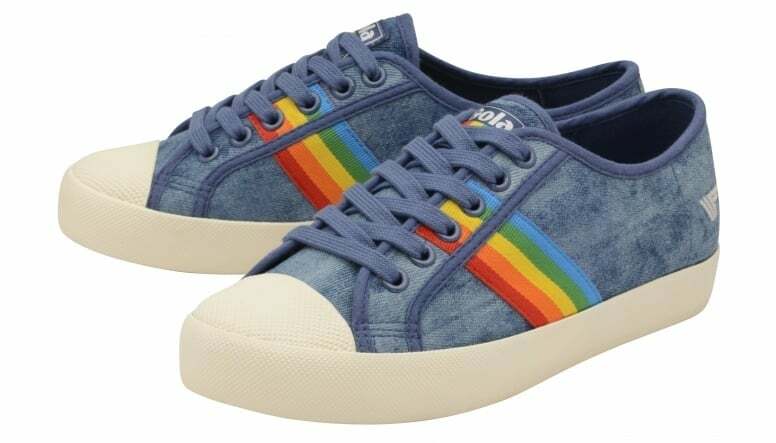 This casual canvas silhouette looks as stylish with a pair of jeans as it does with a summer dress.